The data firm Tefficient recently released data in its 14th analysis of data usage across 13 countries. The analysis included countries such as Canada, Singapore, Japan, Korea, and Hong Kong. The study found that Canadian wireless providers charge the most per data, while their customers tend to make limited use of that data. “The most expensive mobile data countries are Canada, Belgium, Germany, Czech Republic and the Netherlands and — as a consequence — mobile users in these countries are using very little mobile data,” the company said in its report. In countries where unlimited or very generous mobile data plans are available, the company found that usage is higher. Such is the case in Lithuania, Austria, and Korea, where unlimited data plans were introduced. The industry group that represents wireless providers in Canada, the Canadian Wireless Telecommunications Association, also pointed to the quality of wireless service in Canada — saying things like 4G/LTE networks increases usage and value for consumers. CBC News reports the CWTA and OpenMedia has commented on the Tefficient study. 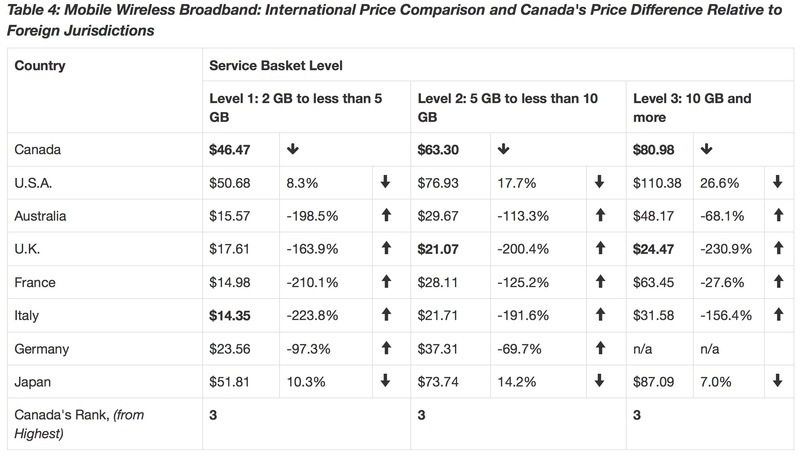 The CWTA argues Canada has competitive prices compared to other countries in the world, based on a recent report by the CRTC, which analyzed the cost of wireless packages with 2GB and 5GB per month in Canada at $46.47, less than the $50.68 cost in the USA and $51.81 in Japan. But still, Canadians are paying two-thirds more compared to the same coverage in Italy ($14.35), France ($14.98), Australia ($15.57) and the UK ($17.61). “What we find when looking at the available data is that usage is more directly correlated to network quality,” said Marc Choma, vice-president of communications for the CWTA. Additionally, high data prices tend to cause users to use less. “When people pay more for data, they use less of it because they’re worried they’re going go over their data cap and incur these crazy, huge overage fees,” said Katy Anderson with Open Media, who has helped campaign to end data caps. Whatever the case, let’s hope that prices eventually drive themselves down (or is that just a hoop dream?). 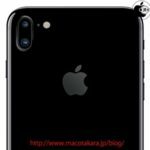 While that may not happen, Canadians with unlocked iPhones can get some decent Boxing Day promos from Fido, Koodo and Virgin right now.